Walter Hoyle (1922-2000) was a painter and printmaker, who lived for some years in the Essex village of Great Bardfield. He designed a number of wallpapers for the fashionable Palladio range produced by the WPM (Lightbown Aspinall Branch). 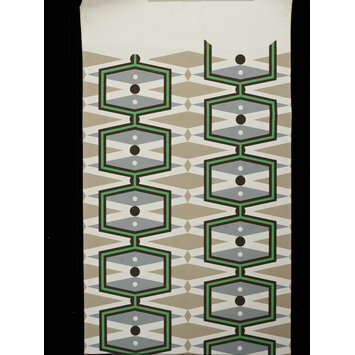 This sample, a geometric pattern titled ‘Bardfield’ was issued in 1958 as part of the Palladio 3 series. 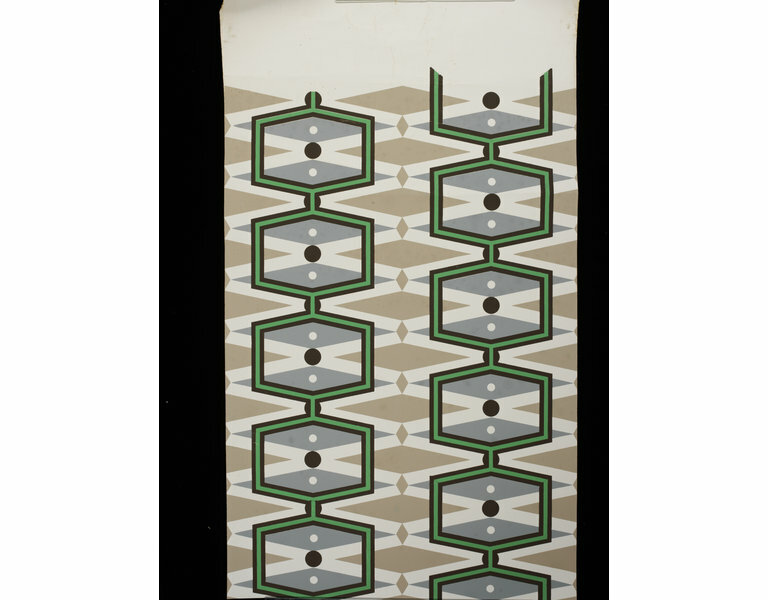 Walter and Denise Hoyle used this paper in their own house. 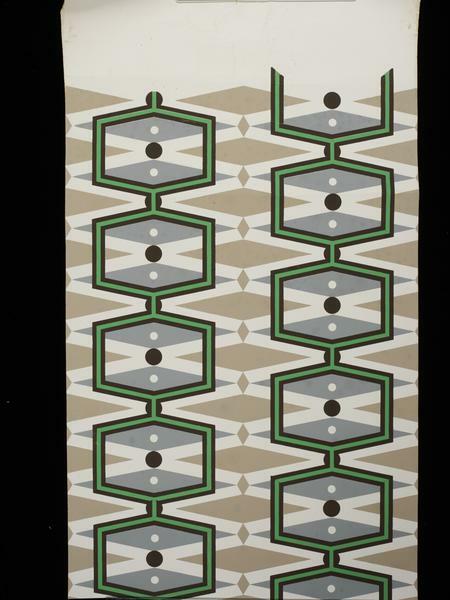 Unused portion of 'Bardfield' wallpaper, 1958, designed by Walter Hoyle.